Well-known for its weightless feel and impressively long-lasting coverage, this game-changing liquid lipstick dries down to a soft-touch finish and stays smudge-proof all day. Choose from stunning shades ranging from barely-there mattes to bold, head-turning metallics. Enriched with vitamin E, the non-dying formula wraps lips in a veil of velvety, lightweight color. No drying, flaking, or tightness. Apply to clean lips with the doe-foot applicator. Press lips together for full-coverage color that lasts for hours. Remove with Jouer Cosmetics Daily Repair Treatment Oil or another oil-based makeup remover. Gah! 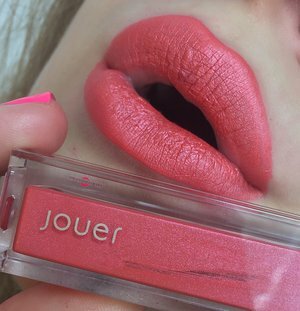 Could a coral lippie get anymore stunning than Jouer's Daiquiri?! This is by far the best color from the brand as it is smooth in coverage, and is true to the color inside the bottle. 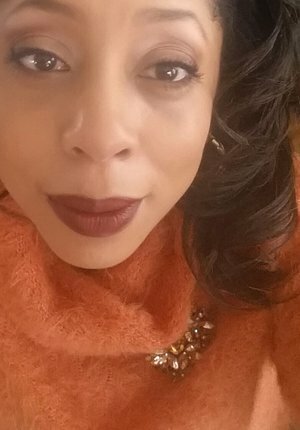 I found this to hold up past 5 hours, within the two wears I wore it, and I found it to feel as though a light coating was glazed on my lips, rather a heavy and thick liquid lipstick formula. 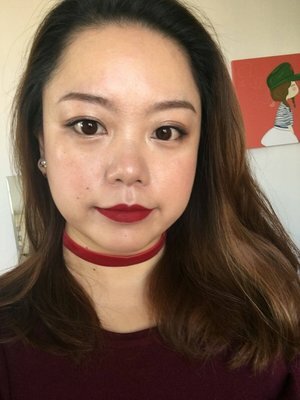 Think Nyx's Matte Lip Cream, with WOWZA pigment! You'll love this color! It's warm, deep rust color that's non drying. The liquid lipstick stays put! 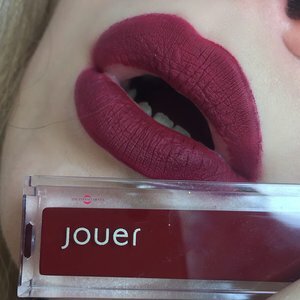 I have never been too interested in liquid lipsticks but when I saw some of the Jouer metallics, like Snapdragon, I had to give it a try. I am thrilled that I did! The application is easy, the scent isn't strong but it's very pleasant (some food-like scent, maybe vanilla? ), and once it dries down it will stay put for a long time! I find that food with oils in it will make it come off a bit, otherwise it pretty much looks great all day long and I take it off at night with the rest of my makeup. From one application! This liquid lipstick isn't drying either, which is one of the things I was worried about. When I remove it, there has been no stain left behind - it comes completely off with the same makeup remover I use for my eyes. I now have about seven because I'm so sold on these. I love the metallics but finally ordered my first non-metallic! Wow the beauty gurus on youthbe were not kidding - this will not budge! I've been wearing it every day since I got it and did not need to reapply but I did a liiiittl but in the center where it faded a little after eating. 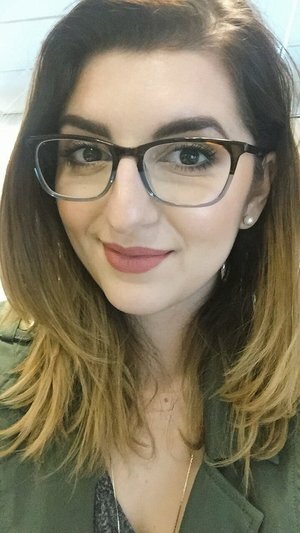 The color is super flattering and casual, perfect for every day and it goes with everything! Also got a red shade too and can't wait to try it! Such a wonderful color, but it is VERY streaky! For example, you might apply it in a light layer, but if you apply another layer on top the top layer will be darker, and dry down that way, rather blend out sheerer. This is true to being matte, and comfortable however! I would recommend this product to anyone! Such a high quality product for a really reasonable price. This particular shade has gorgeously intense pigment with the perfect undertones and amount of shimmer to match any skin tone. The formulation is also fabulous, non-drying and long lasting. Felt like wearing nothing on my lips! Effortlessly beautiful! It's so smooth like wipping cream on a cake. And it's so pigmented, what it shows on the bottle is exactly the same on the lips. Highly recommend! Love the formula. Light and flawless. 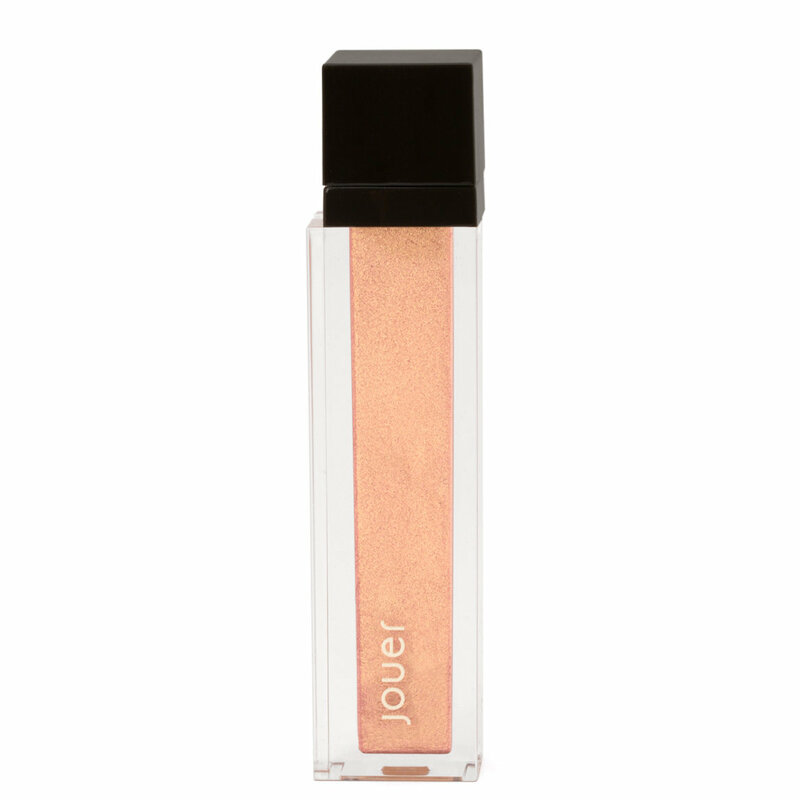 So if you like flawless make up but still stylish, or everyday looks jouer cosmetics is a good range.